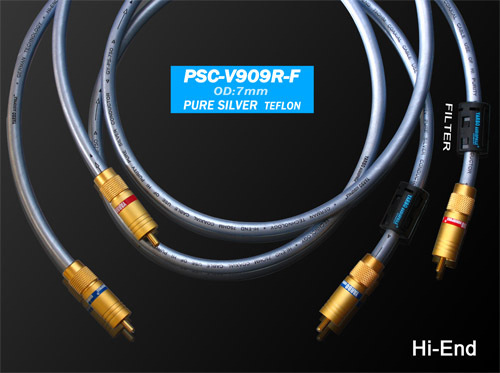 Pure silver (PSC) is the best conductor in nature, and Alba designed the new PSC signal cable PSC-V909R-F in strict accordance with the monitoring standard. Elegant silver skin soft and delicate touch, fine workmanship of the body fully reflects the meticulous, rigorous self-discipline dedication. Analog audio output card has a long-term filter magnetic ring, double shielding at the same time use a very low dielectric loss of dielectric multilayer tightly covered to form a mechanical barrier to extend the service life of the center conductor, effectively isolate and remove EMI (Electro Magnetic Inference Electromagnetic interference), RFI (Radio Frequency Inference) and harmonic interference. Coaxially coated silver (PSC) conductors responsible for audio analog signal transmission polish and decontaminate the surface with a precision laser to smooth the surface of a pure silver (PSC) conductor as a mirror. Faithful to maintain time and accurate phase, reducing the distortion of the signal transmission, enhance the clarity and details of the regeneration! The ends of the wire are fitted with RCA terminals, such as a slim woman's white, slim waist curve. 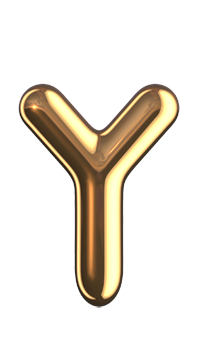 The copper core core needles are used to suppress the bump floating point on the core pins to increase the surface area in contact with the post. 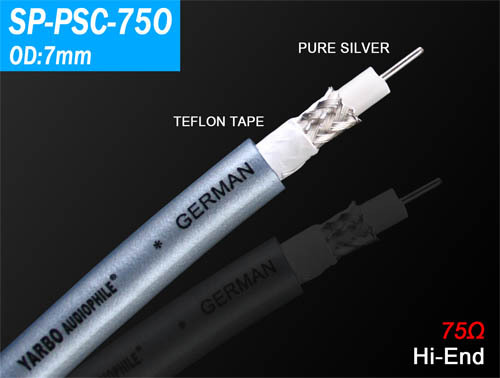 A new generation of PSC optical cable (PSC) signal line <PSC-V909R-F> In the resistance, inductance, capacitance and other important parameters can be perfectly matched upscale fever class equipment performance in place! Ya Bao fever line has always been fair price, high cost to help the majority of enthusiasts into the unforgettable Hi-End Palace! It is a sensible choice for friends who really appreciate music. Secretary quality assurance and after-sales service.